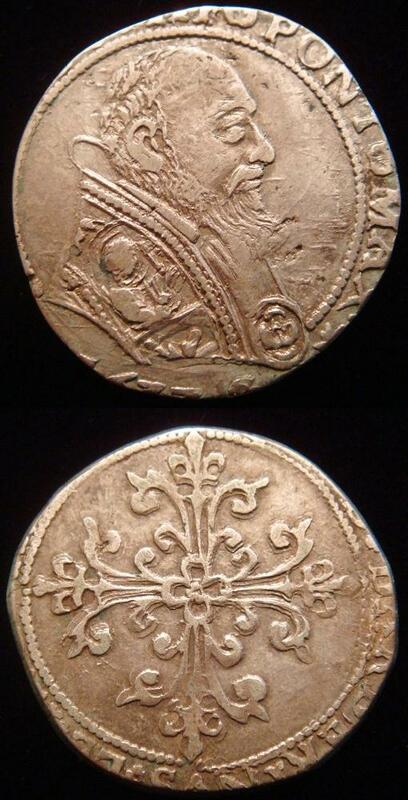 Silver mezzo franco of Pope Urban VIII (1623-44) minted at Avignon. Obverse: Bust right. Reverse: florette cross on reverse. Lightly clipped flan; expressive portrait of the pontiff. Rare and very nice!